Sparkling is the most important wine purchase of the Holidays for reasons that I hope need no explaining. Get lots – it won’t go bad, I promise. Nothing spreads good cheer like glasses of bubbly. And it doesn’t cost a fortune. 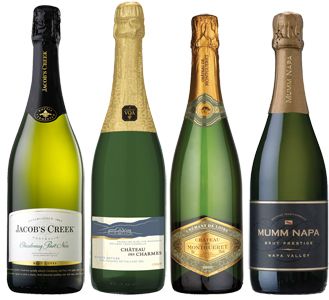 Buy of the year is Jacob’s Creek Brut. Champagne alternative never tasted better. Zesty, toasty and sure to please. Get a case. 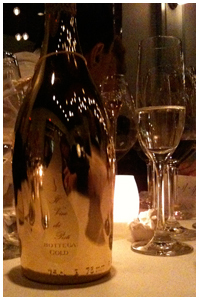 Bottega, one of my favourite Prosecco producers, has sent the pink version in a gold covered bottle. Check this picture out. How festive! How can you resist? Go local with Chateau des Charmes who have been making great sparkling for longer than I care to remember. It’s hard to distinguish between a good Loire region sparkling and a Champagne. Except in price. Start the evening with Chateau des Montgueret and the rest will be easy sailing. Mumm Napa is the perfect choice if you need an up-scale name. The wine is damn good too. Previous articleYes Virginia. There’s Still Time!